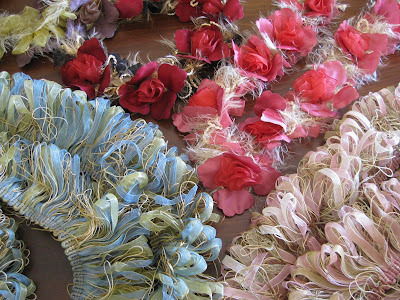 I have so many lovely trims, embellishments and florals. I know I won't ever get to using them all. June seems like the perfect month for florals. 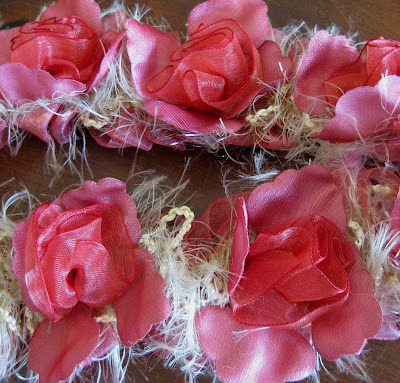 I have listed several gorgeous trims this week in my Teddy Bear Etsy shop ~ Old Soul Bears . 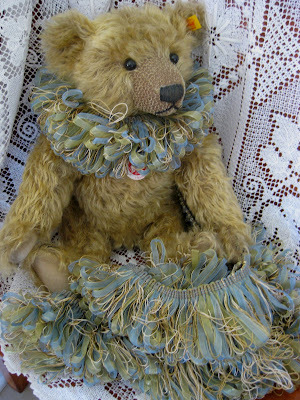 They make lovely collars and ruffs for your favourite Teddy Bear of Victorian Doll. Perfect for mixed media projects too! Love the pink roses ! I believe they are organdy in the center. 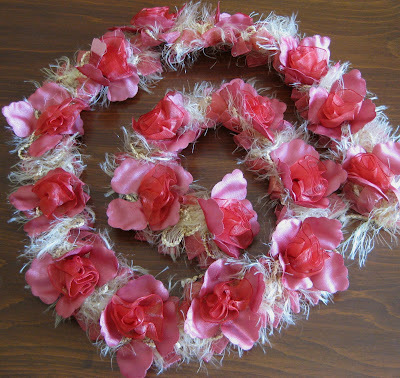 I have Pink, Red and Mauve florals. The looped ribbon and cord makes a perfect Clown Ruff for your Teddy Bear. I have it in pink or blue ~ both have gold accents. Fabulous trims, Karen. I'll check them out. 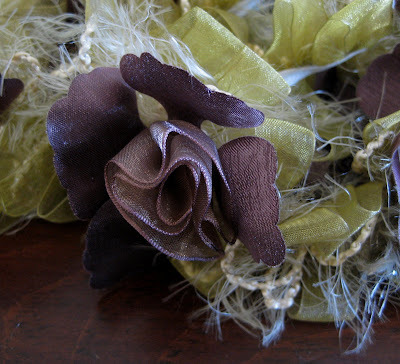 Beautiful trims! I can think of dozens of uses for them all:). 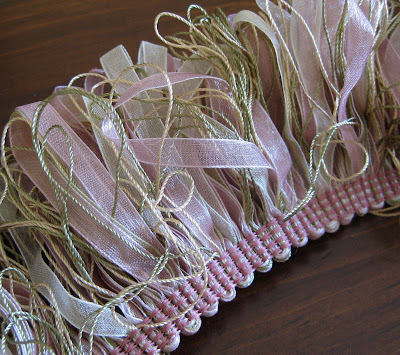 Hi Karen-Fab trims! I wanted to let you know I love the doll. I am sure glad it found me. The doll's name is Sally and it stands in my room on a self located by the head of my bed. Thank you and Best Wishes! How fabulous they are and what fun they would be to work with! I'm enjoying your blog.